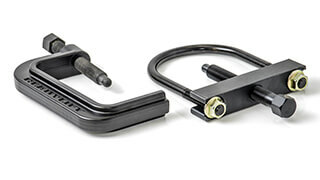 Includes Track Bar Relocation Bracket, sound isolators, shocks extensions and sway bar spacers. ReadyLIFT Suspension Inc. has engineered a line of suspension products made to fit the 2011-2019 Ford Super Duty F250 and F350 4WD trucks. Our new 66-2726 2.5" Leveling Kit is an upgrade to our standard 2.5" leveling kit and includes our popular front track bar relocation bracket. 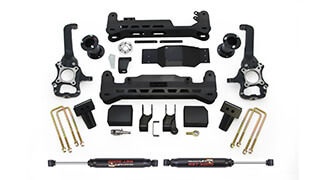 This kit provides new 2011-2019 F250 4WD truck owners the ability to install wheel and tire combinations up to 35" and keeping the smooth OEM ride and drivability. 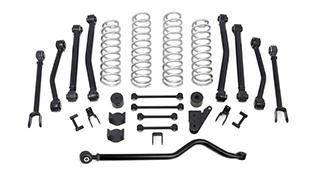 The 66-2726 ReadyLIFT Leveling Kit includes 2.5" powdercoated steel coil spring spacers, OEM style cast iron track bar relocation bracket, sound isolators, shock extensions and sway bar frame mount spacers designed specifically for the 2011-2019 Super Duty platform. When it comes to leveling you get what you pay for. 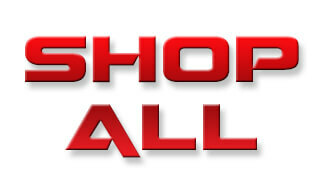 This great system specifically incorporates more than just front leveling. The addition of our track bar relocation bracket allows you to correct your truck's track width after lifting the front. 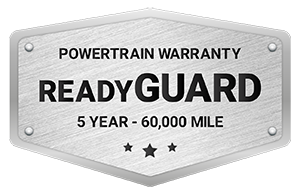 Something that is necessary on some Super Duty trucks. 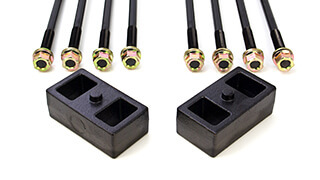 The sound isolator is installed between the spacer and spring to retain that great OEM ride and quiet sound. 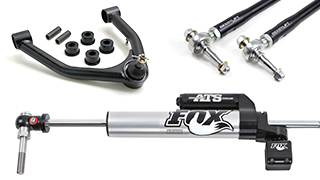 Shock extensions allow you to retain the use of those great riding brand new front shocks rather than having to replace them with cheap aftermarket versions. 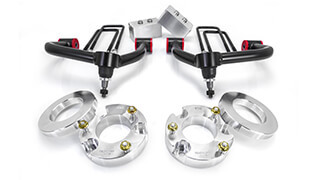 In addition, Ford changed the front suspension on the new 2011-2019 Super Duty trucks and in order raise the front of the truck the front sway bar frame mounts must be spaced downward. 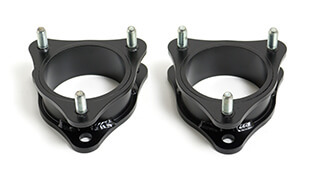 ReadyLIFT designed new sway bar mount spacers just for this reason, something you won't get with other kits. If you are looking to make your 2011-2019 F250 4WD sit perfect over 35" tires then this strong 2.5" Leveling kit is exactly what you need! 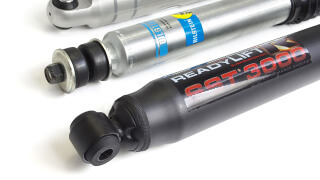 ReadyLIFT Smart Suspension Technology is used to make this kit very user-friendly to install, requiring no cutting or drilling. 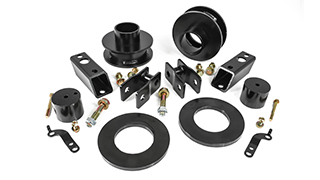 Like all other ReadyLIFT kits, the 66-2726 2.5" Leveling Kit is guaranteed for life against manufacturing defects. 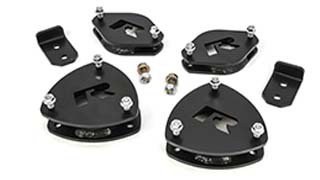 NOTE: This 2.5" kit provides a near-level stance on F250 trucks with the factory 3" rear block. Some may measure 0.5" less than true level. 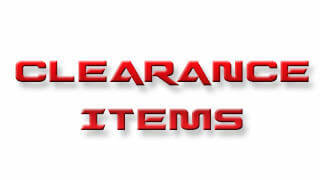 Includes Front coil spring spacers, Track Bar Relocation Bracket, sound isolators, shocks extensions and sway bar spacers.